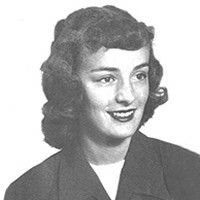 Roeder, Virginia Ann "Jinney" Judd Virginia of Prior Lake MN was the first-born child of Francis M. and Frances A. (Temple) Judd. She was born 8-28-33 in Faribault, MN and died on 3-11-19 after enduring many years of health issues. Virginia graduated from Faribault High School in '51 and lived in many places including Vermont, Texas and Hawaii. Virginia was employed from age 12 to 67. Her work ranged from baby-sitting, being a car hop, working in the fields to secretarial, medical transcriptionist and sales positions. She was preceded in death by her parents, first husband, Theodore Driessen, Jr. and her son-in-law's, Billy Wade and George Ibach. She and Teddy were married 10-6-51 and he died in 1955 just 4 mos after their daughter Vicky was born. Virginia later married Harlan Radue and they had two children, Jay and Shelly. After many years, they divorced. Virginia and former high school classmate DelVane Roeder crossed paths and married in 1979. Their journey of over 40 years brought many happy events, travels and sharing of life's ups and downs. Caring family and friends guided Jinney throughout her life. She lived with great tenacity to survive and move forward in spite of frail health. Virginia is survived by her husband DelVane Roeder, children Vicky Koenig Wade, Jay Radue (Linda) & Shelly Ibach, grandchildren Dylan Davis, Chad Radue, Nicole Klingson (Tyler) and Lucas Koenig USMC (Margaret), great-grandchildren Gretchen and Deegan Koenig, Presley Klingson, Easton Radue and her beloved dog Pixie who never stopped comforting Jinney. Brothers Jim, Danny and sister Janet. Jinney loved celebrating her Irish heritage and embodied the jovial mischievous spirit of the Irish. She loved her life and felt fortunate to have traveled abroad in 1966-74 through many trips won by her and her second husband's sporting goods business. 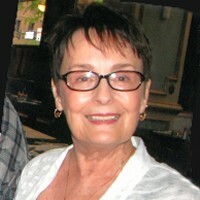 Virginia worked full-time, she was very organized and built strong family values and fond memories for her 3 children. The family loved going up north and celebrating Holidays and Birthdays with large groups at their home. During her younger years, Jinney played sports, boated, danced and enjoyed country music concerts. She had a life-long enjoyment of cars, auto racing and at age 85 still drove like she did when she was young. During later years, Jinney loved walking, watching spectator sports, music, happy hour and keeping in touch with old and new friends. Before digital, Jinney wrote hundreds of letters to friends and family with photos or other enclosures. At age 8 she began pen-paling, collecting postcards, photos and filling scrapbooks. In early yrs she often spent her 20-cent wkly allowance at the post office or to have photos developed. At age 9 due to her mother's life-time illness, Jinney began doing the family chores including shopping, cleaning, laundry and caring for her younger siblings. She did her best while her Dad worked long days to support their family. All of this responsibility at a young age proved valuable in teaching her children. Jinney's photographic memory recalled everything in living color from age two until she passed on. At her humble request, there will be no memorial services and she requests no flowers. Her husband and kids will celebrate her memory at one of her favorite restaurants and toast a "Dark and Stormy" in her honor! Memorials may be sent to any of her kids to honor their mother in a special way.